Michael claims he has been hired by the Dinotown Kingdom to guide young Dinoz Masters through their adventures, but rumours swirl that he just likes helping and was never officially hired by anyone. Whatever the truth is, you can rest assured that you can safely trust his advice. You can meet strange dinos at certain locations. If you defeat them you get a Trophy and you can buy this race in Dino Shop. Hippoclamp Waïkiki Island requires level 8 Hippoclamp Trophy allows you to buy this Dinoz in the Dinoz Shop! Pteroz Basalt Slopes requires level 9 Pteroz Trophy allows you to buy this Dinoz in the Dinoz Shop! Strange Stone BrutForce requires level 10 Rockies Trophy allows you to buy this Dinoz in the Dinoz Shop! Quetzu Secound part of Nimbao quest requires level ? Quetzu Trophy allows you to buy this Dinoz in the Dinoz Shop! 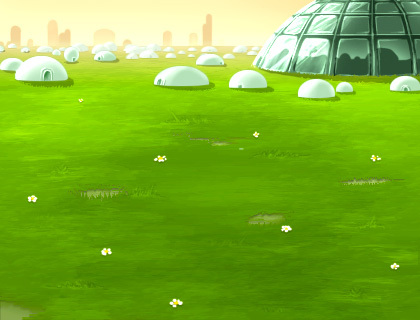 These missions will also guide your exploration of the Dinotown Kingdom. Of course, there are more lands to explore but we'll deal with that another time. Come back to me when your Dinoz reaches level 5 and I will explain further! Congratulations! Reaching Level 5 shows how experienced your Dinoz has become! If you speak to Professor Eugene at the University, he'll now offer you two challenges. But be careful. These challenges are quite dangerous. If your Dinoz is not very strong I'd recommend you wait before taking these tests! Once you have earned a reward from Professor Eugene, come back to me and I will explain how to use it. Good luck! Oh! Bravo! Your Dinoz has obtained the Buoy ... It's an object that will enable you to access the Atlanteid Islands! To use it, it's really easy: go to the Frish Port, south of here, and at the moving phase, your Dinoz will be able to swim to the Atlanteid Islands. Note that you can receive the Climbing Gear already at level 7. Oh! Bravo! Your Dinoz has obtained the Climbing Gear ... It's an object that will enable you to access to the Big All-Hot! To use it, it's really easy: go to the Precipitous Hills, north of here, and at the moving phase, your Dinoz will be able to climb up to the Big All-Hot area. I see that your Dinoz is already in possession of the Buoy and the Climbing Gear. These two objects will allow you to access the Atlanteid Islands and the Big All-Hot. Have you visited these two new areas yet? Really? You don't know what your missing ... swim to the Atlanteid islands from the Frish Port or climb from the Precipitous Hills to the Big All-Hot. You must go, you'll be able to carry out loads of new missions! Really? It seems you have the same spirit as the Grand Adventurer! But I still think there are many secrets which you are still yet to uncover. 1. Oh yeah? Like what? Let me see ... Ah! Here's a good example. Did you know that by passing through the little, winding streets of Dinotown's antique market, you can access another part of the kingdom? It's not fully developed yet, so not many people live there. It's called Dinoplaza! 1. Wow! You're right I never knew that! I told you there were still have a lot of things to discover! Go and visit Dinoplaza! Come back here when you have time! You start to get bored? In this case, I advice you to go to hunt the Scorpscuba. You will find clues in the Atlanteid Islands, and this will offer you the access to the Underwater Dome, or to the next mystery awaiting for you! You can now access Grumhel Forest. I hope you carry on your adventures there. Come back to me once you've found the Korgons item. 1. Ask where would be a good place to build a clinic. A clinic? That's a great idea, Dinotown doesn't have one at the moment, You'll need to find an isolated location for a building of that size... maybe you'd be better off looking in the west of the town? Go and see what you can find. 1. Thanks, you've been really helpful! You set off for Dinotown.